Debt is not forever - Women and Money Inc.
« Should I Join A Birthday Girl Gifting Circle? But you are wrong. Because debt does not need to be your close friend/enemy. A group of personal finance bloggers are endeavoring to spread the message that debt is NOT forever. That means debt is not a given part of our lives, it is something we can get out of and live happily without. 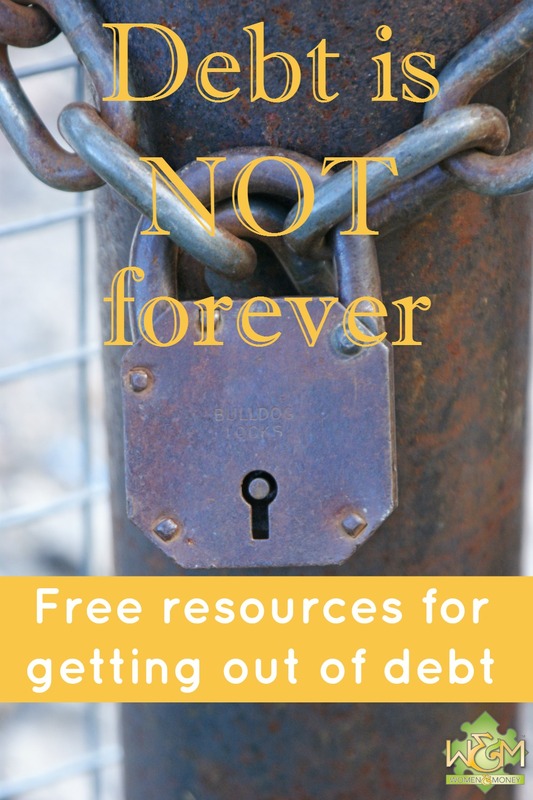 You can join in the Debt is Not Forever movement too by sharing why you want to be debt-free, an image that is your motivation, or your commitment to a debt-free life. Share on social media using the hashtag #DebtIsNotForever. This entry was posted in Debt, Personal Finance, Women and Money and tagged #debtisnotforever. Bookmark the permalink. Both comments and trackbacks are currently closed. As someone who just got out of debt I can attest to this! I was piled under mounds of debt a couple of years ago, and then I decided it was probably time I start budgeting and seeing where all of my money was going. Lo and behold, I was spending hundreds of dollars at our local thrift shop. Because everything was under $5, I was under the impression that I wasn’t spending that much money. I was so wrong. I found multiple other places that I was spending an absurd amount of money, and after years of budgeting, and keeping careful watch over money, I am finally debt free! It is one of the best feelings in the world, and it is definitely worth the frugal lifestyle.